Nice people, Super service! Call Today! How Are You Treating Your Water? No, we don’t mean to ask if you’re abusing your water—we’re asking how your treating it literally. Are there contaminants that you’re taking care of? How about hard water? Did you know there are a number of water treatment systems on the market that can help with just about any problem you have? One in particular that’s growing in popularity is the reverse osmosis system. 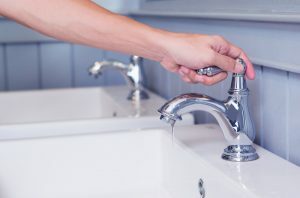 Reverse osmosis (RO) is a water purification technique that uses a partially permeable membrane to remove ions, molecules, and larger particles from your drinking water. Read on to learn more about these systems. Posted in Water Treatment Systems | Comments Off on How Are You Treating Your Water? When Is Trenchless Pipelining Necessary? © 2015–2019 Admiral Plumbing Services, LLC. All rights reserved.